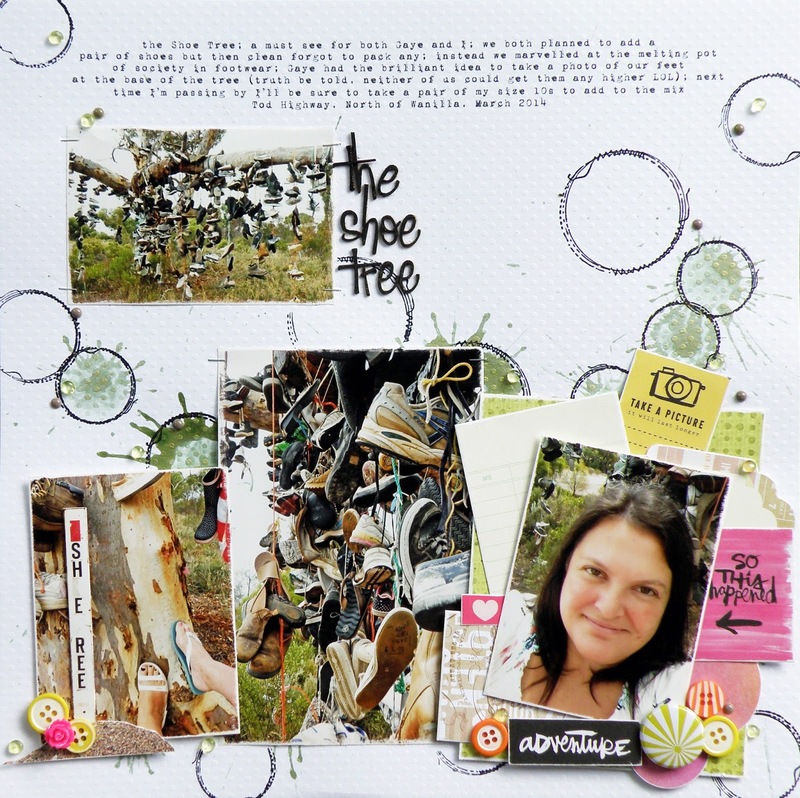 If you saw my post earlier today you'll know that I was feeling more than a tad ambivalent about my layout, The Shoe Tree. Now here's the thing. When I finish a layout I always put it in its album and clean up my table in preparation for my next project. I haven't been able to do this with the layout I shared this morning. My instincts were telling me I had to re-do it. So I did, and finally, I am happy with this layout (I think LOL!). 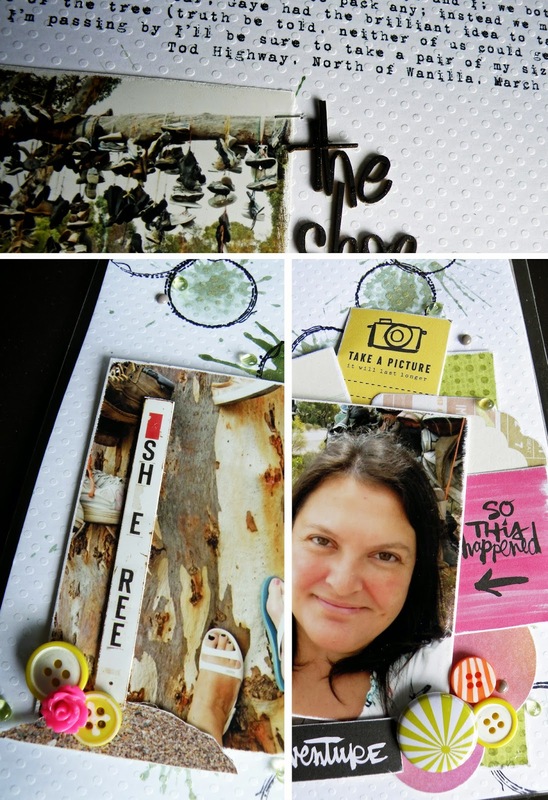 If you missed this morning's post, so you know, I created this layout using the current challenge at Show Us Your Stuff. The challenge is a countdown one (like a recipe) requiring the use of the following .. I love these types of challenges. If you do too, and think you'd like to give the Show Us Your Stuff challenge a go, you can find all the details HERE. Have fun!! I'm off to link up my layout to the challenge site. This layout I'm happy to share LOL!!!! PS: If you're wondering about the font I've used that has to just about be the best ever typewriter font, its called "1942 report". It is a great layout, I love the printed journaling, and that typewriter font is awesome. Loving the pop of pink too Alz. Thanks for joining us at SUYS. Great layout Alz. Love your circles - are they stamps. Love how you have the splatters inside. Great use of the SYUS criteria. Hey Alz! Thanks for taking my challenge at SUYS. Your LO rocks! Wonderful page, you ROCKED the countdown! Thanks for playing at SUYS! Fabulous page - and a great use of all the criteria! I love this Alz...especially the splats within the stamped circles & your design! Glad you are finally happy with is :) Thanks for joining us over @ SUYS!